Dr. William Carlos Williams (sometimes known as WCW) (September 17, 1883 – March 4, 1963), was an American poet, author, and playwright who was also noted for working as a practicing physician his entire life. In his early writings, Williams associated himself closely with the then-emergent movement of American modernism, taking part in that era's upsurge of highly experimental and daring poetry and fiction. He was particularly influential in the imagist movement in poetry. His name is often linked with Ezra Pound and T.S. Eliot as among the most influential modernist American poets. Later in life, however, Williams moved away from the excessively abstract, often bleak poetry of his contemporaries, whom he derided as having become "too European." Williams' late poetry celebrated the beauty and meaning of the commonplace in what Williams' close friend and fellow poet Marianne Moore called "plain English that cats and dogs can understand." Williams greatest poems, recalling Whitman and Emerson, reflect of the union of man and nature and achieved what John Berryman called his "strange late greatness." His influence spread during the twenties and thirties, and won greater recognition in later decades as younger poets, including the Beats, were impressed by the accessibility and immediacy of his verse. Randall Jarrell, in his introduction to Williams' Selected Poems (1949) noted "their generosity and sympathy, their moral and human attractiveness." Williams clear and sensuous imagery, making the ordinary appear extraordinary, evokes a lucid, poetic vision of modern American life. In 1963 he was awarded the Pulitzer Prize in poetry for Pictures from Brueghel (1962). Williams was born in Rutherford, New Jersey, a town near the city of Paterson. His father was an English immigrant, and his mother was born in Puerto Rico. He attended public school in Rutherford until 1897, then was sent to study at Château de Lancy near Geneva, Switzerland, the Lycée Condorcet in Paris, France for two years, and Horace Mann High School in New York City. Then, in 1902, he entered the University of Pennsylvania Medical School. During his time at Penn, Williams befriended Ezra Pound, Hilda Doolittle (H.D. ), and the painter Charles Demuth. These friendships supported his growing passion for poetry. He received his M.D. in 1906 and spent the next four years in internships in New York City and in travel and postgraduate studies abroad (e.g., at the University of Leipzig where he studied pediatrics). He returned to Rutherford in 1910 and began his medical practice, which lasted until 1951. Ironically, most of his patients knew little if anything of his writings and instead they viewed him as an old-fashioned doctor who helped deliver over 2,000 newborns. In 1912, he married Florence (Flossie, "the floss of his life") Herman, who had been his co-valedictorian at Horace Mann. The newlyweds moved into a house in Rutherford and shortly afterward his first book of serious poems, The Tempers, was published. The couple spent most of the rest of their lives in Rutherford, although they did travel occasionally. On a trip to Europe in 1924, the Williamses spent time with fellow writers such as Ezra Pound and James Joyce. Williams returned home alone that year, while his wife and sons stayed in Europe so that the boys could have a year abroad as Williams and his brother had done in their youth. Much later in his career, Williams traveled around the United States to give poetry readings and lectures. Although his primary occupation was as a doctor, Williams had a full literary career. His work consists of short stories, plays, novels, critical essays, an autobiography, translations, and correspondence. He wrote at night and spent weekends in New York City with friends—writers and artists like the avant-garde painters Marcel Duchamp and Francis Picabia and the poets Wallace Stevens and Marianne Moore. He became involved in the imagist movement but soon he began to develop opinions that differed from those of his poetic peers, Ezra Pound and T.S. Eliot. Politically, Williams aligned himself with liberal Democratic and left wing issues. In 1949, he published a booklet/poem The Pink Church that was about the human body, but was misunderstood as being pro-communist. This supposed pro-communism led to his losing a consultantship with the Library of Congress in 1952–1953, a fact that led him to treatment for clinical depression. Williams had a heart attack in 1948, after which his health began to decline. Starting in 1951, a series of strokes followed. Williams died on March 4, 1963, at the age of 79. The poem's intense focus on a single image, and its terseness evocative of haiku is considered a model example of the imagist movement's style and principles, summarized by the imagist motto that Williams coined: "no ideas but in things." As a young man Williams stayed true to this motto and his early poems (most of which he compiled in half-prose, half-verse pamphlet manifestos and published himself) are similarly laconic and focused on things in the world rather than abstractions. However, as he grew older Williams distanced himself from the imagist ideas he had helped to establish with Ezra Pound and Hilda Doolittle, whom he ultimately rejected as being "too European." This break came on the heels of a brief collaboration with Pound on T.S. Eliot’s epic poem The Waste Land, which he derided as baroque and obscure. Eliot's poem, despite its genius, seemed to him years later a "great catastrophe to our letters," a work of stylistic brilliance and the learning, yet profoundly pessimistic its description of modern culture as a "waste land." It is a common mistake to perceive Williams' turn towards Americanism as a curmudgeonly rejection of tradition and the past. In a series of interviews conducted at the end of his life, he admitted that John Keats, a most European of poets, had been one of his profoundest influences. Although imitators of Williams (like imitators of Whitman) would cast off the shackles of verse, Williams himself was deeply concerned with preserving poetic structure in the midst of a changing world. As he would write in one of his most heartbreaking poems, "meter itself" of modern times "has been lost / and we suffer for it." Williams tried to invent an entirely fresh form, an American form of poetry whose subject matter was centered on everyday circumstances of life and the lives of common people—"poetry of the local"—but which at the same time could retain and renew the structure and machinery of the poetic form. To do this, he invented towards the end of his life the variable foot, a system of measuring poetic lines in time with the rhythms of American speech. To many Williams' explanations on this new system of meter make very little sense. (He insisted, for instance, that "The iamb is not the normal measure of American speech," even though many of his greatest lines, including "The iamb is not the normal measure of American speech" fall into iambic patterns.) However, despite the fact that his theories are somewhat unintelligible, Williams' "loose verses" (as he preferred to call poems written in variable feet) have an unmistakable speech-like quality. how should it be otherwise? Williams and the visual arts. Pictures by modernist painters related to WCW’s work. It also features a self portrait of Williams; his not very well known side as a painter. 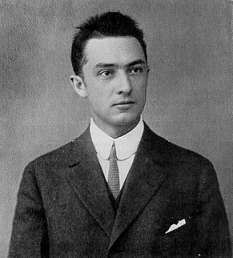 History of "William Carlos Williams"
This page was last modified on 5 August 2013, at 19:15.